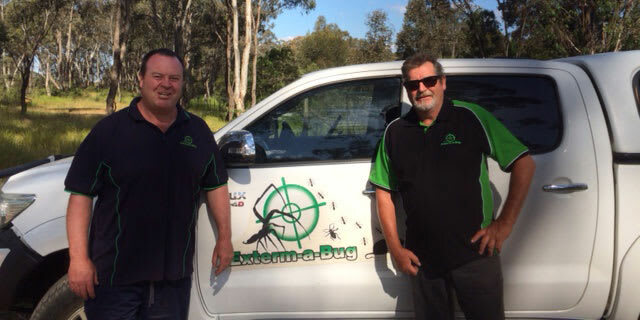 Exterm-a-bug pest control has been providing both Domestic and Commercial pest control treatments and solutions to homes and businesses in Central and Northern Victoria of over 15 years. Exterm-a-Bug is a locally owned and operated business committed to providing our customers with the most reliable and cost effective services. We service many of Central Victoria's commercial kitchens and businesses providing a quality service that is designed to be compliant with the strict HACCP guidelines. With our reputation on the line every time we are on the job, we always strive to utilities the right treatment for the pest problem we need to control, to ensure that the job is performed to 110% of the customer's expectations. We also provide the best advice and recommendations to ensure that you are able to reduce the risk of future problems.